Campbell talks on the phone in the middle of the Boeing 727. 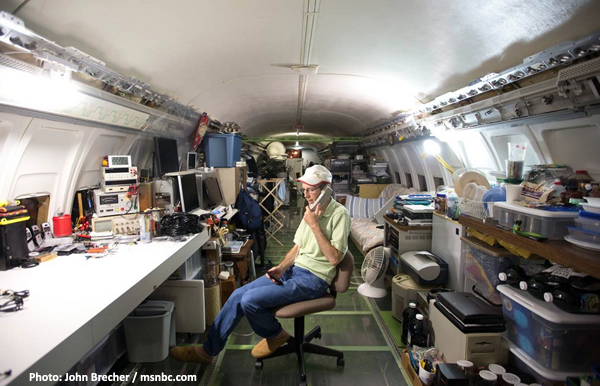 Bill Campbell lives in a Boeing 727 that he converted into a home in Oregon. He acquired the jet at the end of its flying life from Olympic Airways in Greece, had it flown from Athens to the US and finally towed to his land, Bill Briggs writes.